Those in the NFL world weren't the only ones outraged by the missed pass interference call in the NFC Championship Game on Sunday. ​​The four-time NBA MVP saw what we all saw when Rams cornerback ​Nickell Robey-Coleman sent Saints receiver Tommylee Lewis helicoptering to the turf well before the ball got to him, with no yellow flag in sight. This, of course, wasn't the first time James has been critical of the referees ​this week. 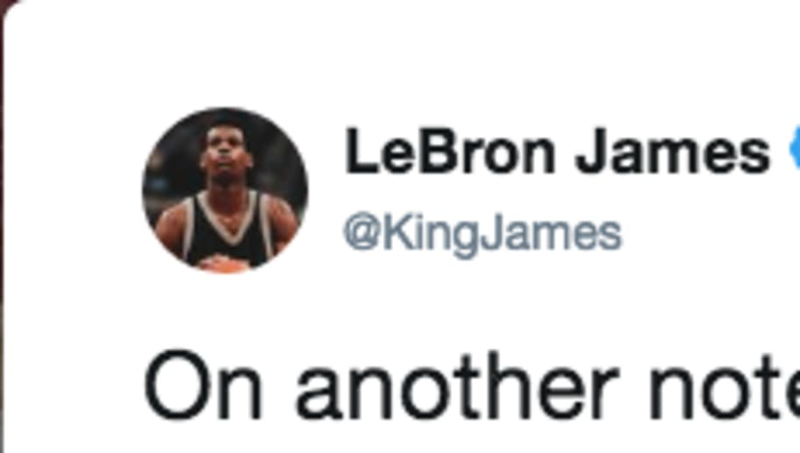 The Lakers forward also fired off this tweet after a questionable call against Lonzo Ball in the Lakers overtime win against the Oklahoma City Thunder Wednesday. The NFL will have a lot of explaining to do after this, considering the call possibly cost a team a trip to the Super Bowl. Saints quarterback ​Drew Brees has stated that he believes there will be future talks about potentially reviewing penalties. While that idea could maybe help avoid situations like what happened Sunday, it seems like a massive overreaction. While yes it was a horrible missed call, it's far from the first, and this idea could conceivably be abused by coaches to get an opposite field holding call or things of that nature; not to mention what it would do to the flow of the game. It will be very interesting to see where the league goes from here.